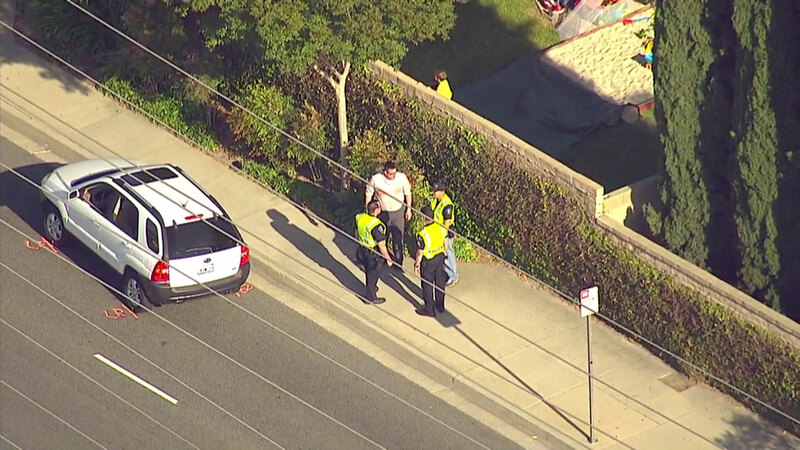 SIMI VALLEY, CA -- A fourth-grade student in Simi Valley died after being struck by a car, following some "horseplay" on the sidewalk that involved a game of pushing, officials said. "The cause of the collision surrounds a bit of horseplay along the sidewalk involving a game of pushing," according to a statement from the Simi Valley Police Department. Police said the child fell into the roadway in front of a slow-speeding, oncoming vehicle, which was unable to stop in time, "based upon the way the event unfolded." The incident happened near Royal Avenue west of Sinaloa Road around 2:19 p.m. The victim, who attended Madera Elementary School, suffered head injuries and was transported to Los Robles Hospital, and then later taken off life support, according to Simi Valley police. "All parties involved in this incident are within the thoughts and prayers of the men and women of the Simi Valley Police Department," the department said.